The Merchants and Drovers Tavern Museum can boast that not only do we have two historic buildings on our property but that we neighbor a notable historic cemetery too. While we do not manage the cemetery, we are fortunate to be able to include this remarkable burying ground into our interpretation of Rahway’s past. We run our annual Ghosts of the Past Weekend and the lantern-lit Spirits of Rahway Cemetery Tours every October. 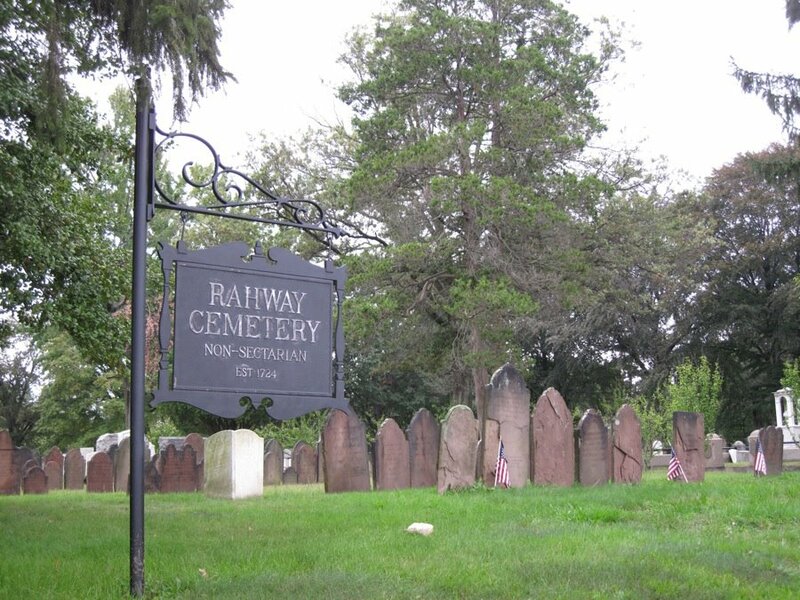 Rahway Cemetery is the final resting place for many famous people from history. Famous burials include; Abraham Clark, A Signer of the Declaration of Independence, Walter Bramhall, a Civil War Officer, John Cladek, a Civil War Colonel of the 35th New Jersey Volunteer Infantry, Carolyn Wells, a noted mystery author, and The Unknown Woman who was brutally murdered in 1887. We also have over 29 members of the United States Colored Troops, 299 Civil War Soldiers, and 70 Revolutionary War Soldiers. Recently, we completed a grant-funded research project on Union County’s United States Colored Troops (U.S.C.T.) that are buried in Rahway. Through our research, we discovered 29 previously unknown and unsung African-American military heroes that served in the Union Army during the Civil War. We were pleased to work in partnership with the American Legion Mackie Post #499 to complete this research initiative. With their help we were able to petition the U.S. Government to have headstones made honoring their service. Currently, we are working on a project to correctly identify and plot the grave sites of over 70 Revolutionary War Soldiers. We will update as the project moves forward. 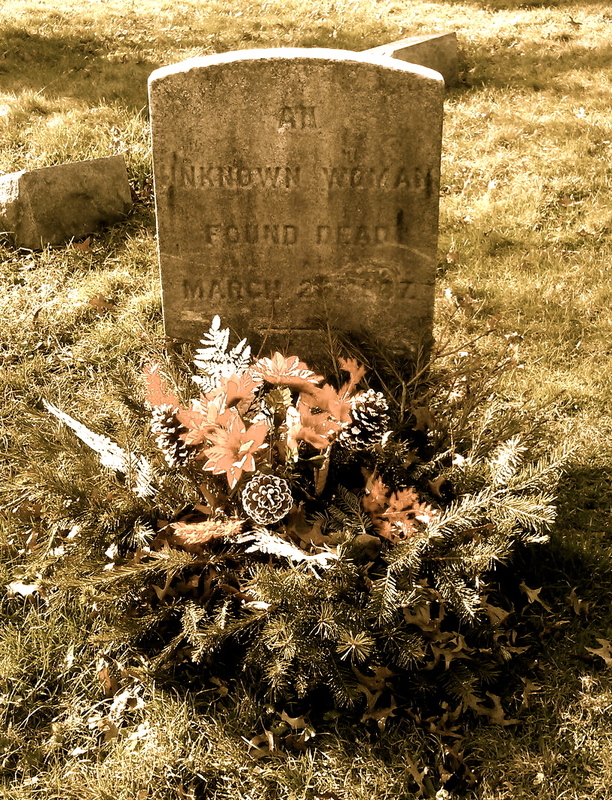 The grave of the Unknown Woman is in located in the back section of Rahway Cemetery. She was brutally murdered in 1887. Her badly beaten body was found by the corner of Central and Jefferson Avenues in Rahway. The murder mystery became a national sensation. Thousands of people came from all over the country to view her remains. The story was on the front page of the New York Times for several days, newspapers from San Fransisco to Atlanta to Chicago covered it, and it made headlines overseas in Scotland, England, and Australia. To this day the case remains unsolved. Her identity was never discovered, her killer was never caught, and the motive behind the crime remains a mystery.She was buried in the back section of Rahway Cemetery, away from others, as the townspeople were not sure if she was a virtuous woman. Rahway Cemetery is the final resting place of Abraham Clark, a Signer of the Declaration of Independence. 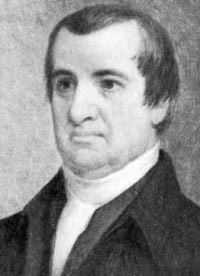 He was vocal in his opinions for independence from Britain and in June of 1776 he was appointed as a delegate for the Continental Congress.